His 2013-14 regular season was a resounding success, a campaign that yielded 19 goals and 47 points in 78 games. His post-season performance, however, was downright impressive, producing 16 points in 19 games. And while Saad, at just 21-years-old, was busy solidifying himself as a star-in-the making, the Pennsylvania native’s penchant for making an impact was only beginning. The left-winger has become a big supporter of St. Jude Children’s Research Hospital, taking to social media via Facebook and Twitter to help drum up support for the Chicago facility. His efforts might be a big deal for the hospital and the families in need, but for the 43rd overall pick in the 2011 Entry Draft, it’s a welcome opportunity to give back to the community. He remains just as committed to the Blackhawks’ Stanley Cup cause. 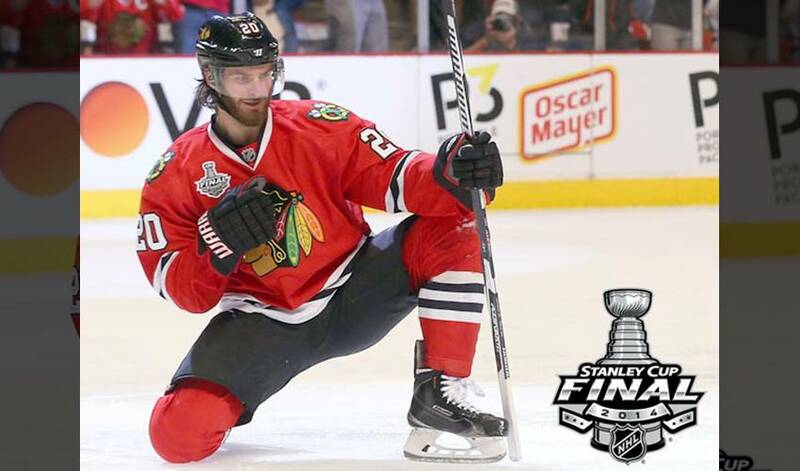 Prior to last season, Saad had appeared in 48 total games on a talent-laden ‘Hawks squad, and was a named a finalist for the Calder Memorial Trophy (top rookie) in 2012-13. He also was part of the Chicago’s Cup-winning 2013 team, netting six points in 23 post-season contests. In 2013-14, he carried his strong regular season form into the playoffs, establishing himself as one of the team’s most reliable forwards. For Saad, who took over the reigns as team captain of the OHL’s Saginaw Spirit during the 2011-12 season (he had a league-best 1.73 points-per-game average), playing for the Original Six club is an ideal fit. Saad and the Blackhawks open their 2014-15 campaign on October 9, a road game against the Dallas Stars.